PM Netanyahu scored a great political victory at home tonight. A majority of members of the Likud Central Committee approved the Likud/Yisrael Beitenu merge. "I have heard much talk about successors, but I intend to lead the state for many years to come," Prime Minister Netanyahu told the enthusiastic loud crowd..
"We vote today for a merger that won't alter the Likud but will change the State of Israel," Netanyahu said. "Joining forces will give us the strength to rule, to act, to change and to govern Israel with might. The Likud will remain an independent party, which will continue to protect Israel and maintain its legacy." A poll carried out for Haaretz on Wednesday, conducted by Dialog under the supervision of Professor Camil Fuchs of Tel Aviv University, shows that Netanyahu easily defeats all his possible rivals from the center-left bloc. As far as the public is concerned, Netanyahu is more suitable for post of prime minister than any of his potential rivals, who are starting to look like the Republican Presidential candidates early on in the game. 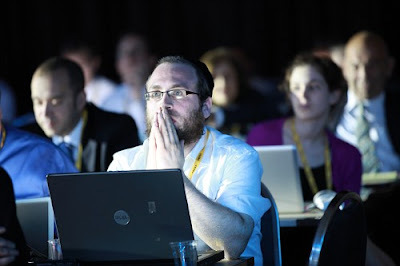 At the same time, the Likud-right wing-ultra-Orthodox bloc has increased its strength to 68 Knesset seats, while the center-left bloc has gone down to 52, compared to the blocs' respective strength in the outgoing Knesset and the previous poll. A Ma'ariv/Telseker poll conducted immediately after PM Netanayhu's sudden announcement on Monday night, instigating early Knesset elections less than a year ahead of time, showed Prime Minister Netanyahu solidifying his lead in positioning himself as the only serious and viable candidate, cruising towards a third term. While covering the 'Bibigate' scandal during his first run for the Likud Leadership, many described Netanyahu as the 'macho' leader that would electrify the Israeli public in first run for Prime Minister. "In May, his victory was described as a ``coronation`` as leader of the Likud at Tel Aviv`s Yad Eliyahu coliseum. His public opinion ratings some weeks surpass those of Prime Minister Yitzhak Rabin. This was Benjamin Netanyahu's first entry, in what turned out to be the start of his career as Israel's Prime Minister. For the first time in Israel's history, a good looking guy with communication skills brought new blood to Israeli politics. A 'Generational leap' he called it. In a statement delivered at the Prime Minister’s Office in Jerusalem, Netanyahu said that after completing a round of meetings with his coalition partners, he concluded he could not pass the 2013 state budget and has no choice but to call for early elections that will not exceed further than 90 days. “My obligation as prime minister is to put the national interest above all else, and therefore I decided that the good of Israel requires going to elections now, as soon as possible,” Netanyahu said.